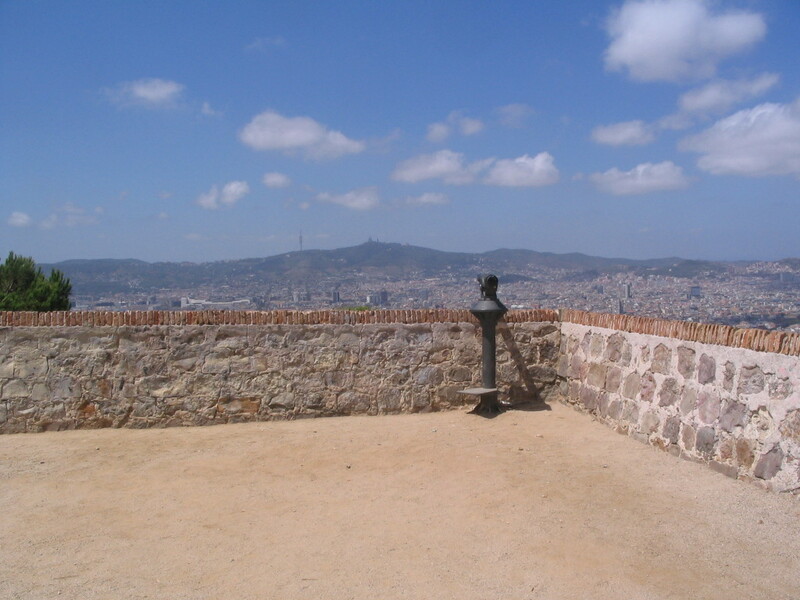 Finally I attained the Castell and the summit of Montjuïc. I wanted to see the interior of the Castell, but it seemed appropriate to circumambulate it first. 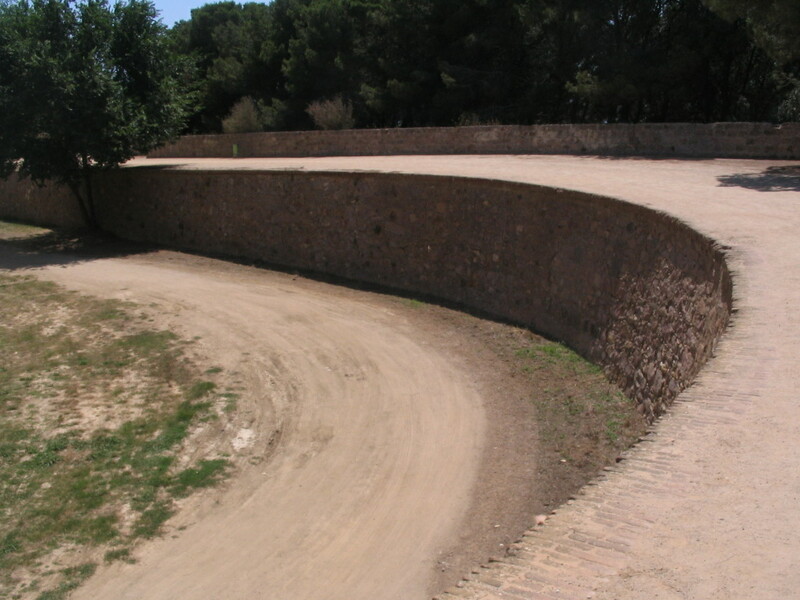 I proceeded counterclockwise along the Castell's outer walls. 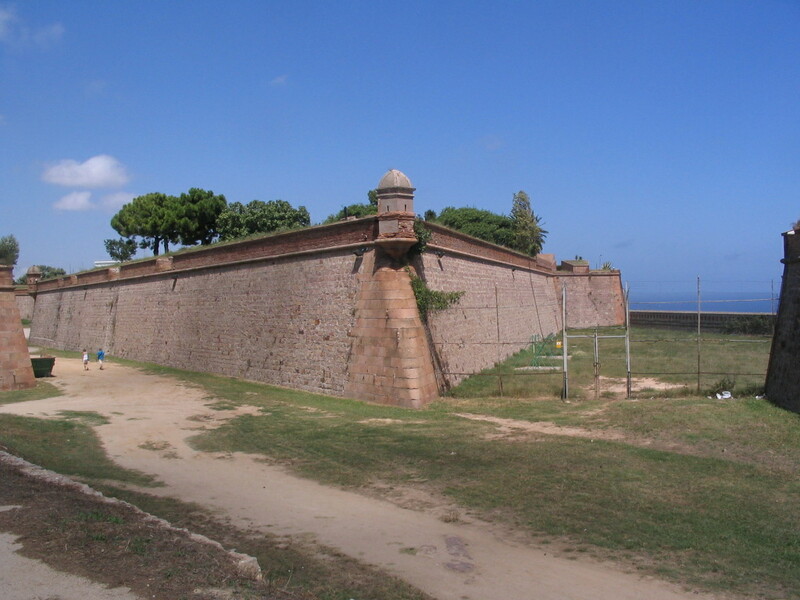 The front gate of the Castell. 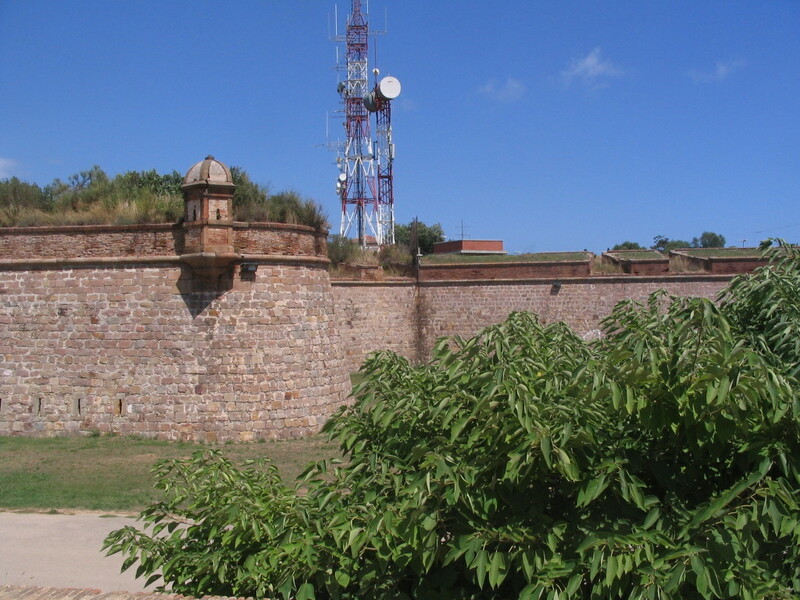 The fortress dates back to the 18th century in its present form. I'm curious as to the purpose of those shiplike masts atop the tower. The ditch looks rather... inviting. 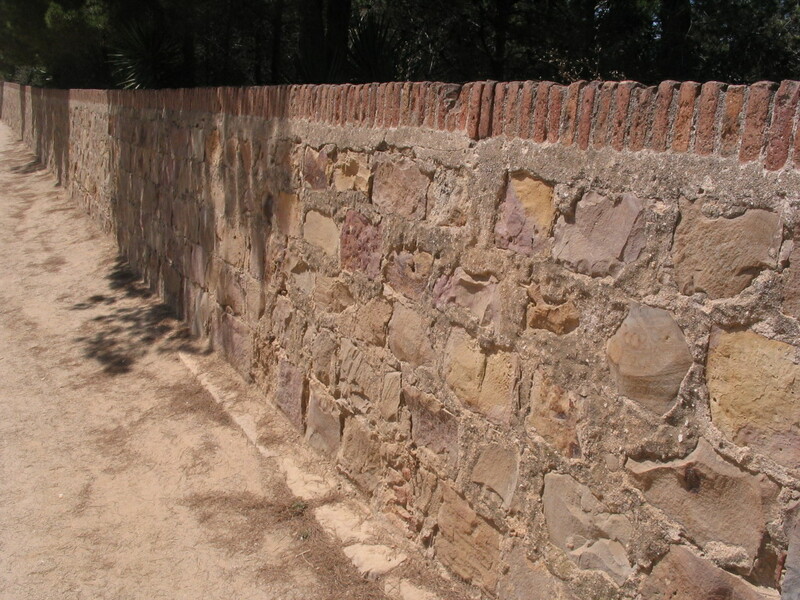 The northern wall. I'll have a few stones with that mortar. Thanks. 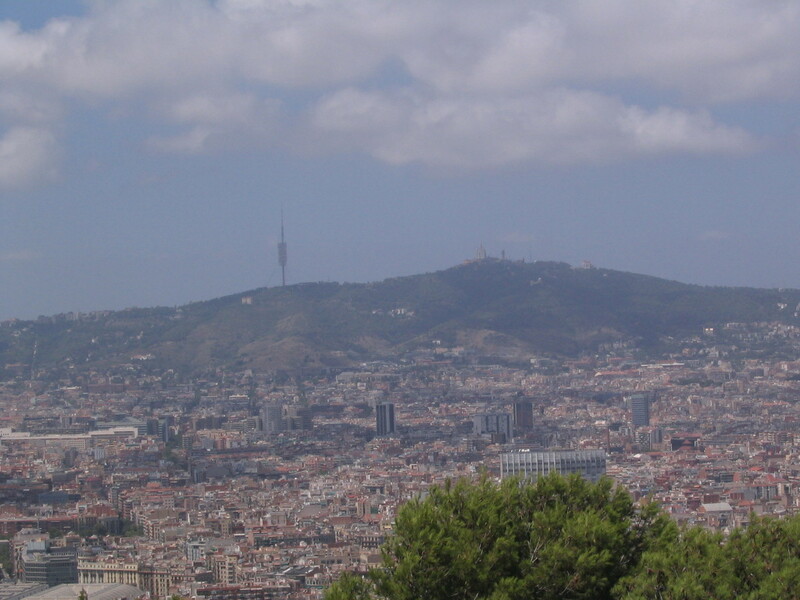 From a plaza along the northern wall: Tibidabo and the TV tower and the whole crew. 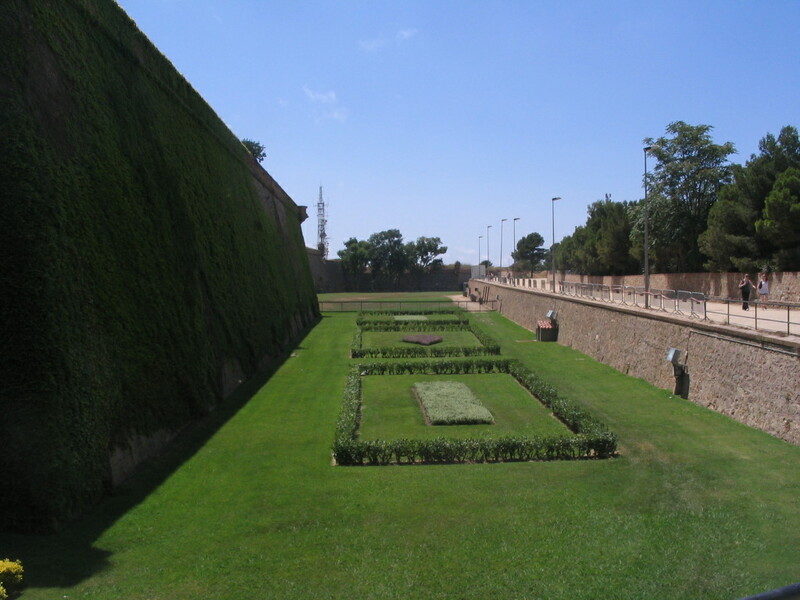 At the corner of that plaza stands a tourist telescope, and I dropped some coin to try it out. I'd been to the plaza a number of times on runs but never carried any money, so I hadn't had a chance to use to the telescope before. 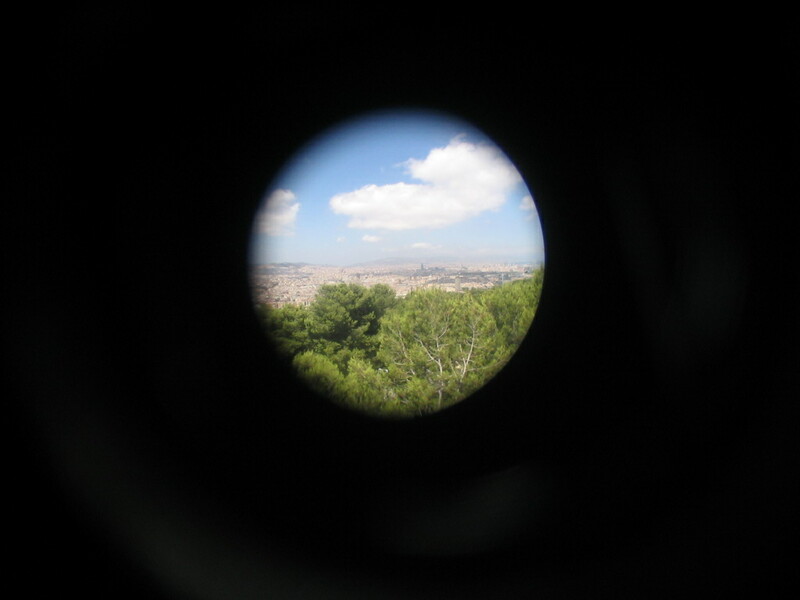 Now I was even able to use the camera through it, which was pretty sweet. 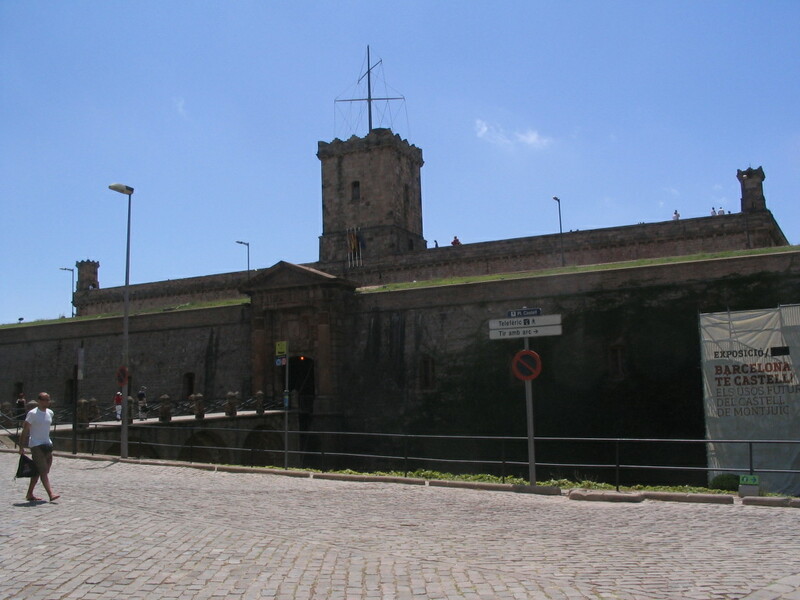 Here of course is the Parròquia de la Mare de Déu del Carme, the church next to our apartment. 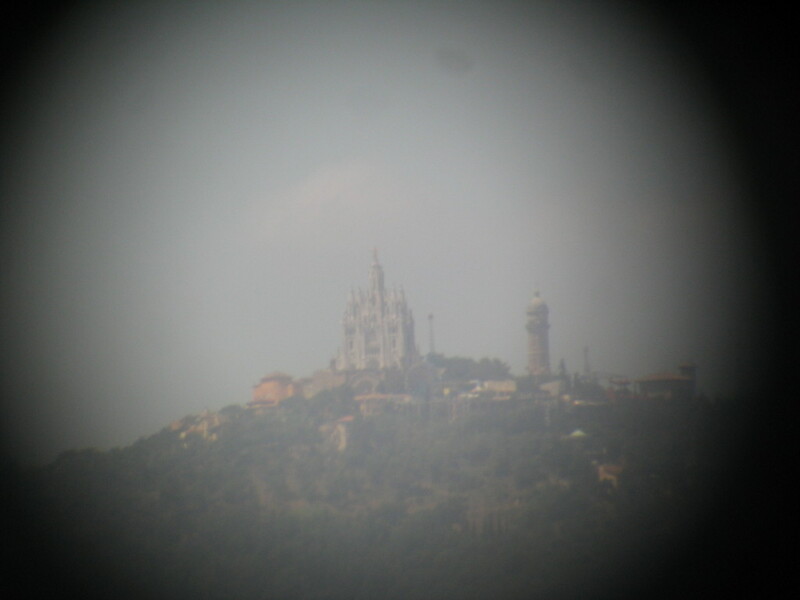 A rare close look at the Tibidabo church and its surroundings. The TV tower, with individual dishes visible. 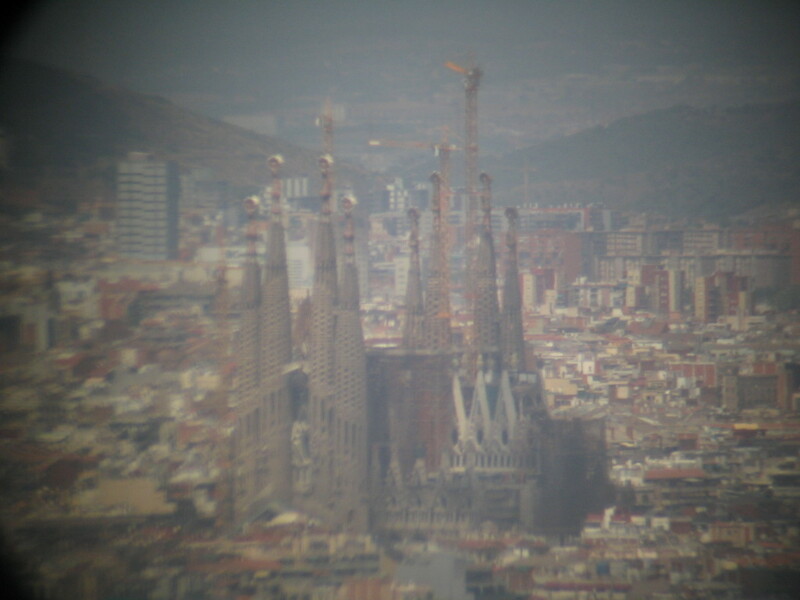 The Sagrada Família: even at this low resolution, its splendor is easily perceptible. 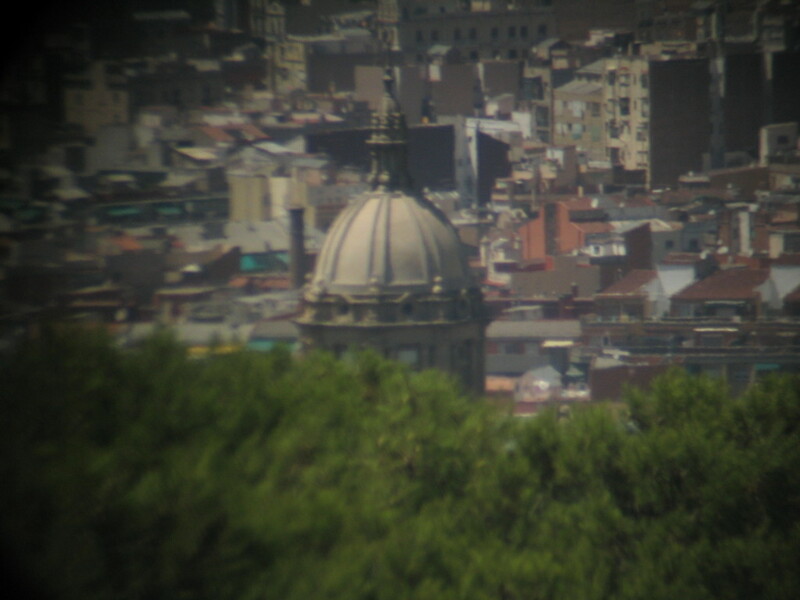 One of the domes of the nearby Palau Nacional. 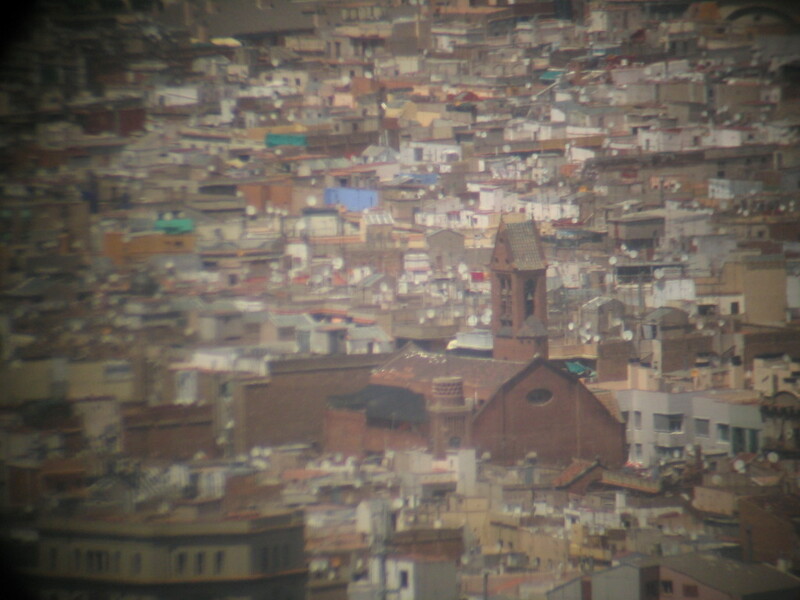 The previous shots were with the camera zoomed in to the max; with no zoom, the telescope view became a condensed panorama. 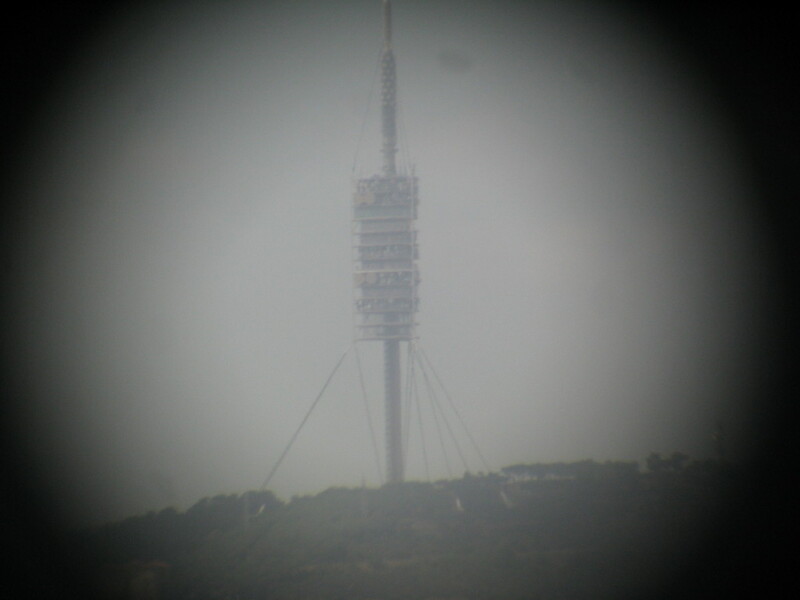 There's the scope, trained on Tibidabo. 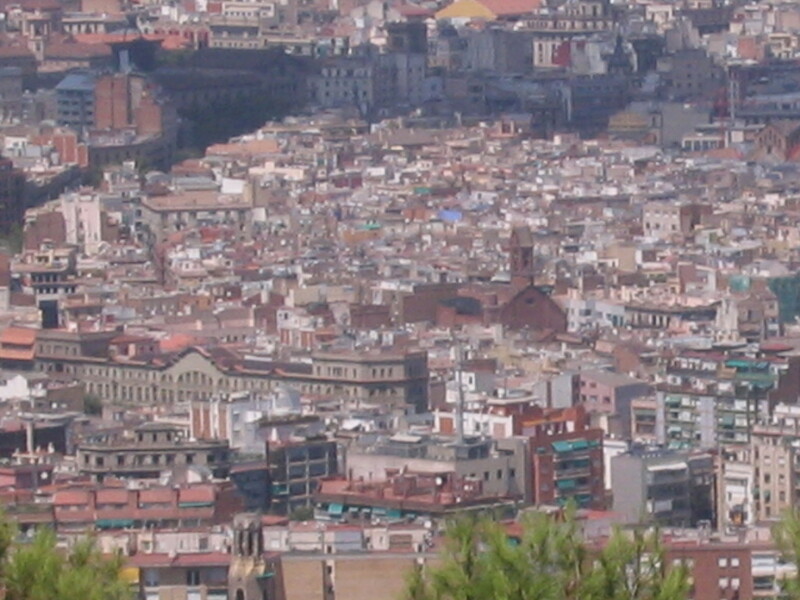 With the camera zoom only: a distant cloud shadow, the Parròquia, and that big building along Ronda de Sant Pau. 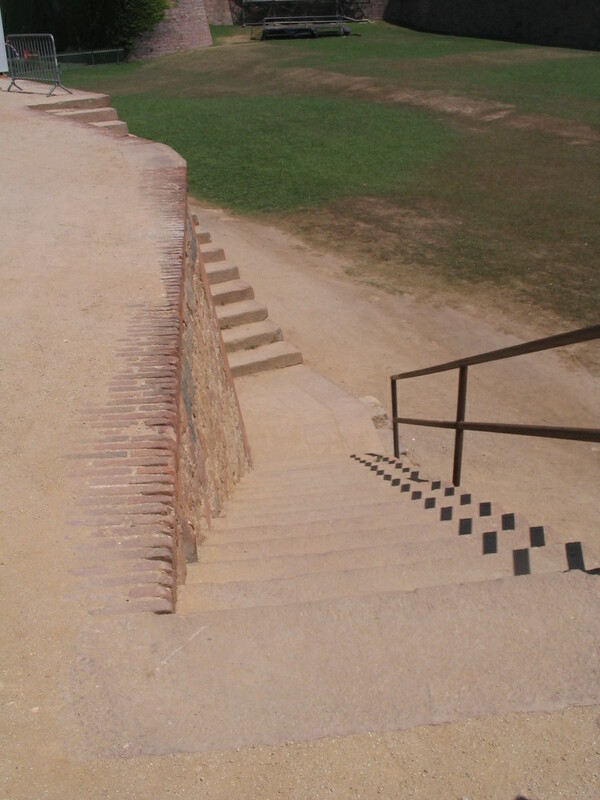 Ditch stairs, unrailed and railed. 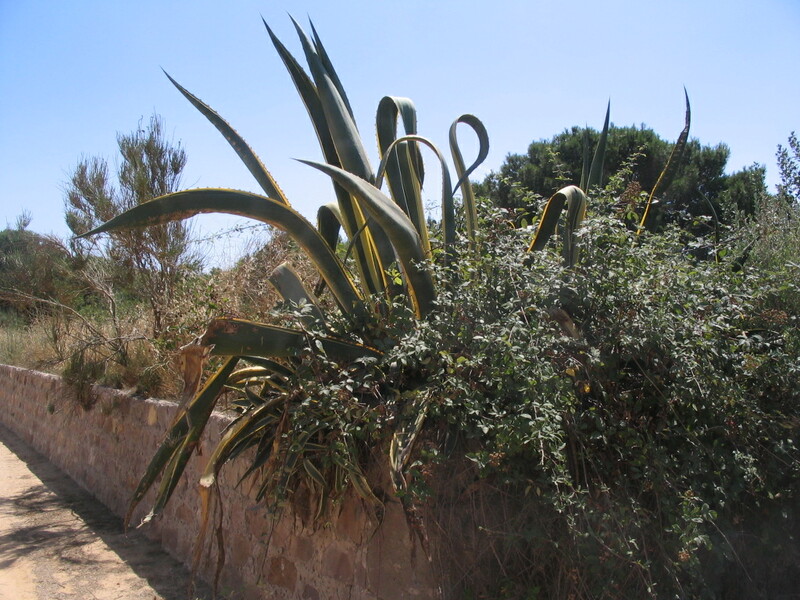 A big ol' agave just hanging out with some friends. 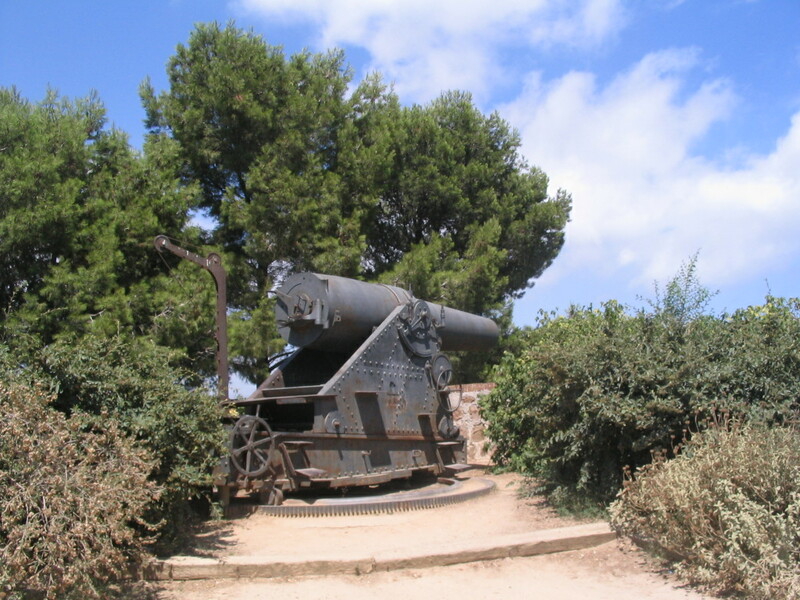 Up on the interior of the Castell, communications towers take advantage of the elevated position. 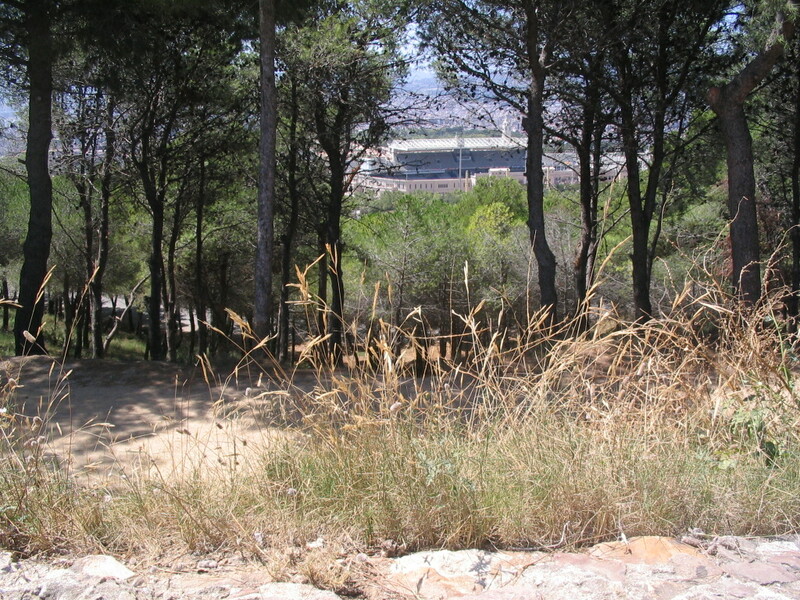 On the west side, where the slope is most gradual, a glimpse down to the Estadi Olímpic. 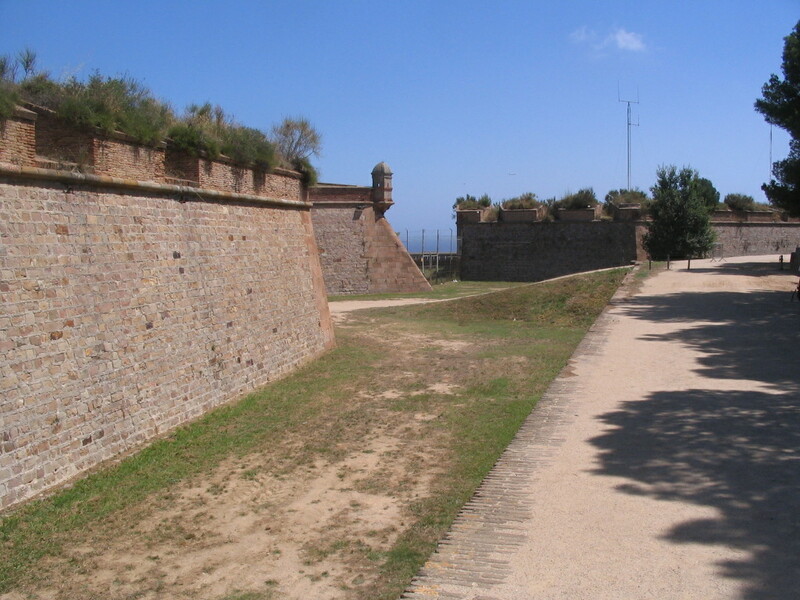 And a glimpse of the sea past the bastions. Note how the curvature of the corner tapers from top to bottom. 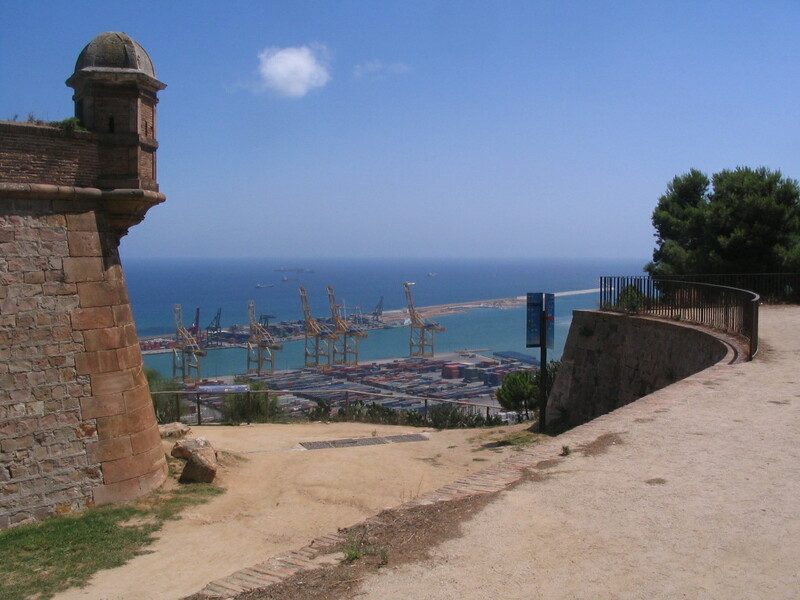 Closer to the edge of the plateau, the massive elements of the container port came into view.